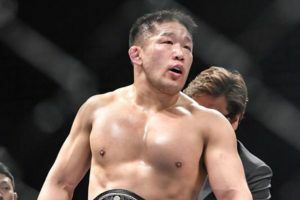 It’s hard to believe that Olympic judo gold medalist Satoshi Ishii has been competing in MMA for nearly a decade after transitioning into the sport in late 2009. He barely got an introduction into fighting before Ishii was facing off with a long list of legends very early in his career. In his fifth professional fight, Ishii was getting a win over K-1 champion Jerome LeBanner, and by his seventh fight he was standing in the ring with arguably the greatest heavyweight fighter of all time in Fedor Emelianenko. 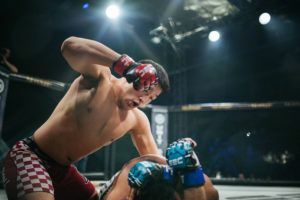 While Ishii amassed an impressive resume with a 12-2-1 record through his first 14 fights, he went through a trial by fire as he grew up in MMA while facing competition far more experienced than him. Looking back now, Ishii admits that the smart move would have been taking on opponents similar in experience as he evolved and got an education in fighting. At the same time, nothing could replace the kind of invaluable knowledge he gained from facing legends like Emelianenko and Mirko Crocop so early in his career. “Actually, it was hard the beginning of my career,” Ishii said. It was actually a pair of losses to former Pride Grand Prix champion Mirko Crocop that helped him form a bond with the Croatian kickboxer and now he calls him a teammate and a friend. In fact, Ishii credits working alongside Crocop as a major factor in his recent five fight win streak where he’s defeated every opponent by knockout or submission within the first two rounds. “Because the last two years, I moved to Mirko’s gym and I’m training a totally different system,” Ishii explained. 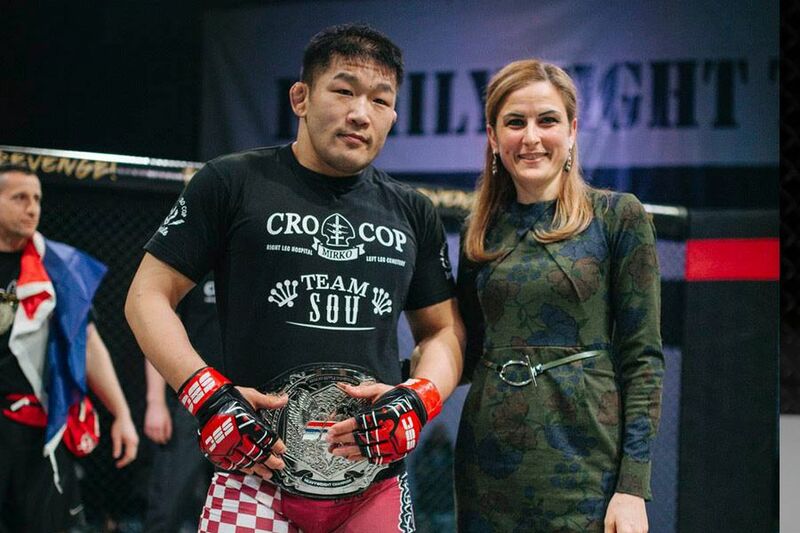 The success he’s found during his recent run also led Ishii to his new fighting home after inking a multi-fight deal with Poland based promotion KSW. The organization has become a huge powerhouse for MMA in Europe with high-profile shows attracting tens of thousands of fans in attendance for every card. Seeing the kind of grand attraction that KSW promotes with each event helped Ishii decided that he wanted to call the promotion home for his immediate future. “It is an honor to fight in KSW because KSW is the biggest organization in Europe. This is a dream come true,” Ishii stated. In his debut, Ishii faces Fernando Rodrigues Jr. at KSW 47 this weekend in a featured bout on the main card. The Japanese judoka has been impressed by what he’s seen out of his upcoming opponent but Ishii still believes he has more weapons than Rodriguez to get the job doen when they clash. “I think he is explosive. He has hard punches, he’s aggressive and he’s always looking for the knockout. I had to fight a lot of hard punchers and a lot of strong opponents so I have a lot of experience and I know what to do in my game plan. I will beat him up for sure,” Ishii said. Beyond the pageantry of the shows and the size of the events that KSW promotions, the other major factor that played a part in Ishii joining the organization was the opportunity to have gold wrapped around his waist. 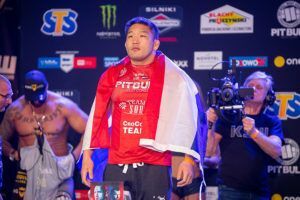 Obviously, he’s not looking ahead until making his KSW debut but Ishii makes it clear that he’s gunning for gold no matter who he has to go through to get to that championship. “I want to take the KSW belt,” Ishii said.